The MONSTERA Ring in Sterling Silver. Monstera deliciosa are green giants native to the humid tropics. They have become the stars of fashion trends without knowing it. I loved them since I was child as they grow wild in my native Caribbean island of Puerto Rico. This exuberant ring was hand carved in wax, a unique piece, and cast in solid sterling silver using the lost wax method. 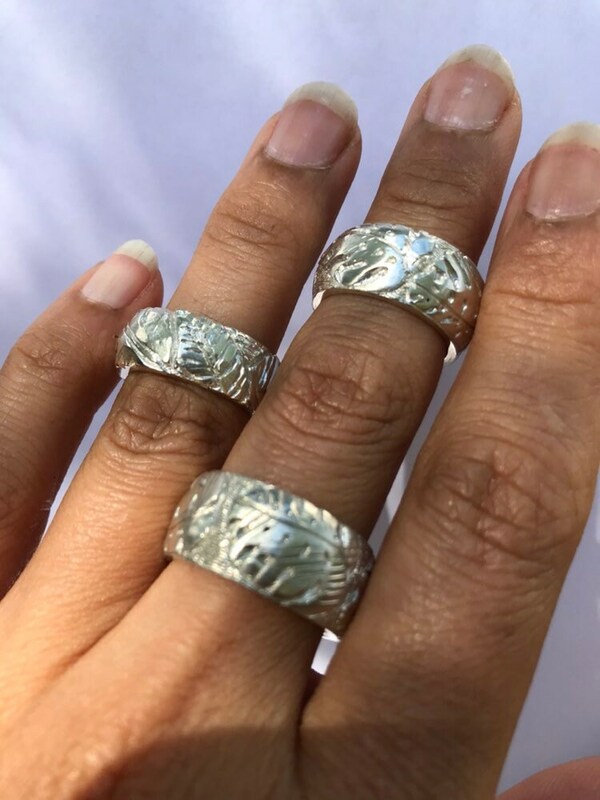 Please specify ring size in the comments section of your order and whether you wish your ring a black patina surface or in a matte white silver surface. upon request a name, date or any given word or short phrase can be engraved in script letters on the inside of this ring at no extra charge, just leave a note on the "note to seller" field when ordering.